Kazakhstan may consider the possibility of oil export through Azerbaijan, Kazakh Energy Minister Kanat Bozumbayev told Trend. "Presently, this issue is not on the agenda," he said. 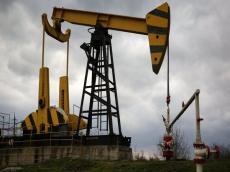 "Exploring the possibility of the Kazakh oil transit through Azerbaijan is not considered in connection with the availability of the current sufficient capacities for the export of the Kazakh oil, taking into account the expansion of the CPC pipeline." He added that nevertheless, the possibility of such supplies is not ruled out. "In the future, as the extraction of hydrocarbons increases in Kazakhstan and in condition of economic feasibility of supplying the Kazakh oil through Azerbaijan, the aforementioned issue will be considered by the interested parties," Bozumbayev added. In previous years, Kazakhstan transported its oil both via the Baku-Tbilisi-Ceyhan pipeline and via railway from Baku to the Black Sea ports of Georgia. Since 2016, such transit has not been carried out.